Wild Turkey’s Master Distiller, Jimmy Russell, is one of the legends of contemporary Bourbon. Along with the likes of Jim Beam’s Booker Noe, Heaven Hill’s Parker Beam, Maker’s Mark’s Bill Samuels, and Buffalo Trace’s Elmer T. Lee, Russell helped shape Bourbon into the world-wide, world-class spirit that it is today. Russell grew up in Lawrenceburg, Kentucky, not far from the distillery where his father and grandfather both worked. He began his career there himself in 1954, working his way up through the ranks to his position today, 59 years later, as not just Master Distiller, but as the face and global ambassador of one of the worlds more recognizable booze brands. It was Jimmy Russell’s defiance of the industry trends in the early 80’s that helped to establish the Wild Turkey name. Drinker’s tastes had turned to lighter drinks, vodka especially, and many bourbon brands scrambled to appeal to the masses with lighter spirits and lower proofs. 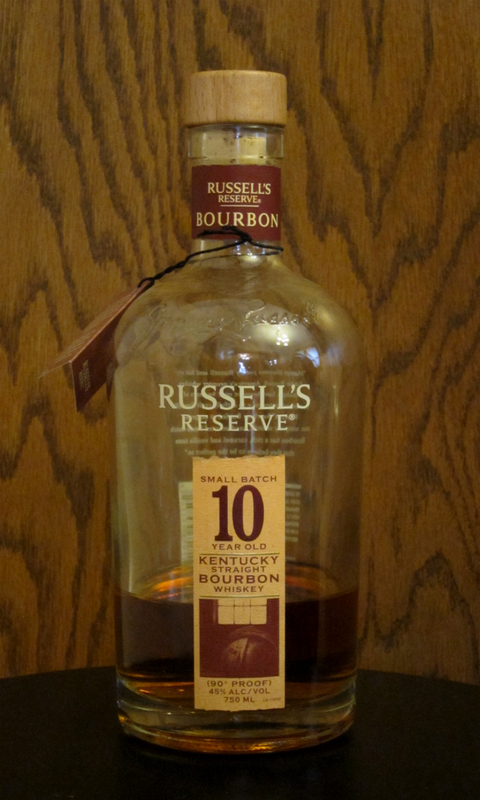 Russell held fast and insisted his bourbon remain the same and still be bottled at 101 proof. Not being a big bourbon drinker myself in the early 80’s (I was only 12-13 years old and preferred gin), I don’t really remember if Wild Turkey was one of the only over-100-proof bottles out there, but apparently it was, and that helped give it a rather edgy reputation. Whiskey that strong, it seemed, was drunk only by hard, tough men who laughed at danger and the advanced deterioration of their livers, so if you wanted be seen as a tough, hard someone who laughed at danger and the advanced deterioration of your liver, well then, your obvious choice was Wild Turkey. Hell, no less of a role model than Hunter S. Thompson himself gave it a rather unofficial endorsement in several of his books. Somewhat lost in this inadvertent rough and tumble image-making, however, was the fact that Jimmy Russell also refused to change the character and high quality of his whisky along with the high proof. To this day, Wild Turkey produces a somewhat old-school, big, flavorful bourbon that has a mashbill that’s predominantly corn (75% along with 13% rye and 12% malted barley), distilled at a relatively low proof and is matured in barrels using the deepest char. As unwilling as Russell has been to compromise his whisky, he’s also not been afraid to add to his line in anticipation of what’s on the market’s horizon. Wild Turkey’s Rare Breed was among the earliest “barrel-proof” expressions to hit the shelves as was its early entry into the single barrel category, Kentucky Spirit. In 1999, Wild Turkey did a one-off bottling to celebrate Russell’s 45th year with the company, and this proved to be the genesis for the Russell’s Reserve Small Batch 10 Year Old. The Nose: A lush sweetness tempered by wood and spice. Juicy orange, sugary cola, vanilla bean ice cream, and cinnamon & sugar mix, specifically cinnamon & sugar mix sprinkled on hot buttered toast. Behind that, fresh-baked lemon bars, buttered sweet corn, crystalized maple syrup, and oaky, spicy goodness in the form of more cinnamon, sawn wood, and a touch of cedar. Tucked in the background are subtle hints of rye, toasted coconut, and faint anise-tinged barrel char. The Palate: An initial caramel corn sweetness is joined by cinnamon candies and sweet, spiced orange. More spicy notes make themselves known pretty quickly, coarse vanilla bean, cinnamon stick, and sweet clove, with a bit of peppery rye making an appearance as well. Pleasantly woody with more dry, sawn oak, and old cedar, with just a touch of mint towards the end. The Finish: A lengthy, dusty, drying, spicy, oak-tinged finish, with more cinnamon stick, clove, a bit of dried anise, and a touch of burnt popcorn. Thoughts: Man, this is a pretty damn good bourbon. I’m almost at a loss as to what to say past that, it hits all the right notes a slightly older bourbon should hit, lots of complex sweetness well-balanced with bold spice and wood tones. Wild Turkey’s fairly corn-heavy mashbill still comes through nicely even after 10 years in oak, that character . This normally retails for $30 – $35, which makes it a fairly good value, I happened to pick up a bottle for $22, which is just a crazy good value. Definitely Recommended.